While Microsoft is still mute when it comes down to communicating details related to the first Beta of Windows 7, reportedly due either at the end of October or in mid-December 2008, the company is addressing issues such as the high definition model of the operating system. However, taking into consideration display hardware data gathered from end users as well as the limitations imposed by GDI applications which are not DPI aware, Ryan Haveson, program manager lead on the Desktop Graphics team, revealed that establishing a default high definition model for Windows 7 is not as simple as it might appear. “Our thinking for Windows 7 was that if we enable high DPI out of the box on capable displays, we will enable users to have a full-fidelity experience and also significantly reduce eye strain for on-screen reading. There is even infrastructure available to us to detect a display’s native DPI so we can do a better job of configuring default settings out of the box. However, doing this will also open up the door to expose some issues with applications which may not be fully compatible with high DPI configurations,” Haveson explained. The high DPI infrastructure is nothing new to Windows 7. In fact, it has been around for several Windows versions, and thus a high fidelity experience would indeed be possible. Still, the implementation of the model of high definition TV could have resulted in shortcomings in relation to applications that fail to perform well under high DPI. “What we found was that one of the most significant issues was with clipped UI. Looking into this deeper, it became apparent that most of these cases were in configurations where the effective screen resolution would be quite low (800×600 or lower). Based on this, we were able to design the configuration UI in such a way that we minimized the number of cases where users would configure such a low effective resolution. One by one we looked at the categories of issues and when possible, we came up with mitigations for each bucket,” Haveson added. 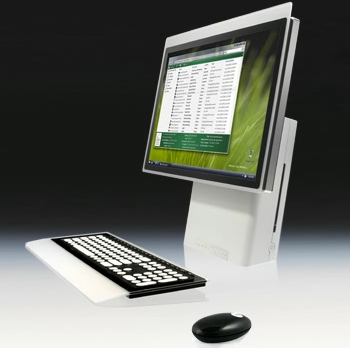 Microsoft indicated that Windows Vista and Windows XP had so far managed to stay away from the benefits of high DPI. Haveson’s conclusion is that the fault is with the Windows operating system and not with the hardware or end users. In fact, the Redmond giant is committed to delivering a high fidelity experience with Windows 7 (1080p) in order to take advantage of the hardware capabilities already available. “We saw clearly that we had an opportunity to help users easily configure their display such that they would enjoy a high fidelity experience for media as well as crisp text rendered at an appropriate size. With that said, anytime we invest in a feature that can potentially impact the ecosystem of Windows applications we want to be careful about bringing forward your investments in software. We also want to make sure that we engage our community of ISVs early and deeply so they can take advantage of the platform work we have done to seamlessly deliver those benefits to their customers,” Haveson concluded.